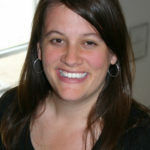 Alexandra Forter Sirota joined the Budget & Tax Center as a Public Policy Analyst in April 2010 and became project director in November 2010. Before joining N.C. Justice Center, Sirota coordinated research on child well-being and policy analysis on family economic security at Action for Children North Carolina. Sirota has a broad range of experience at non-profit organizations and government agencies both in the United States and abroad in the areas of human rights, community development and anti-poverty programs and asset building policy. Sirota received a bachelor’s degree from Haverford College in Pennsylvania and a joint master’s degree from the University of Chicago.